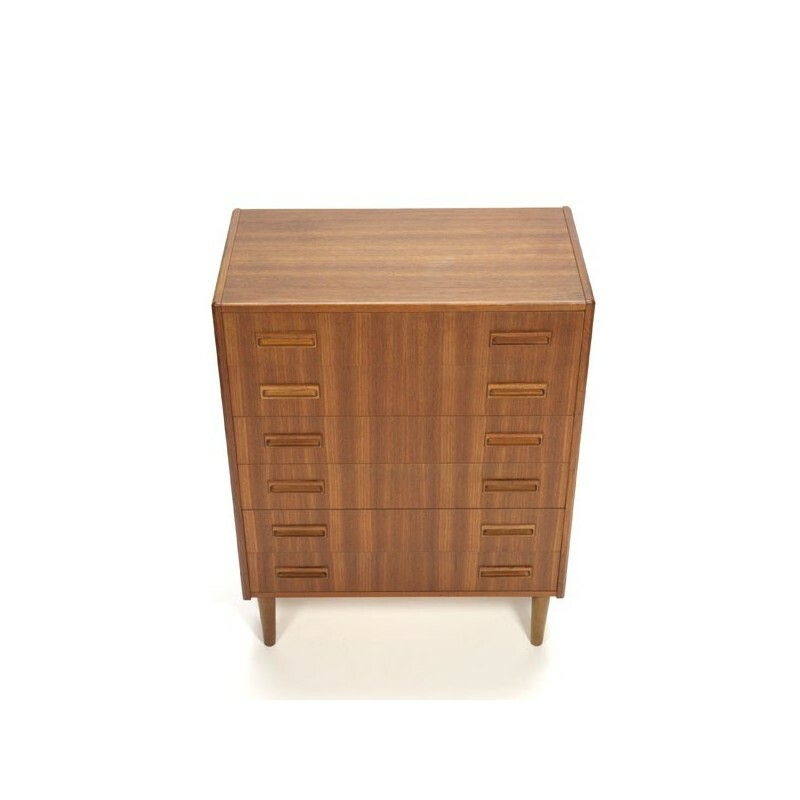 Vintage dresser from the mid sixties, Denmark made in teak. 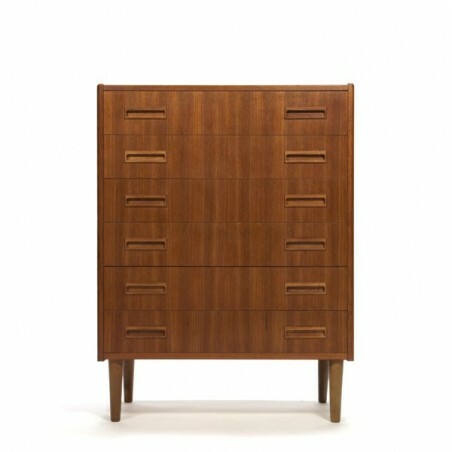 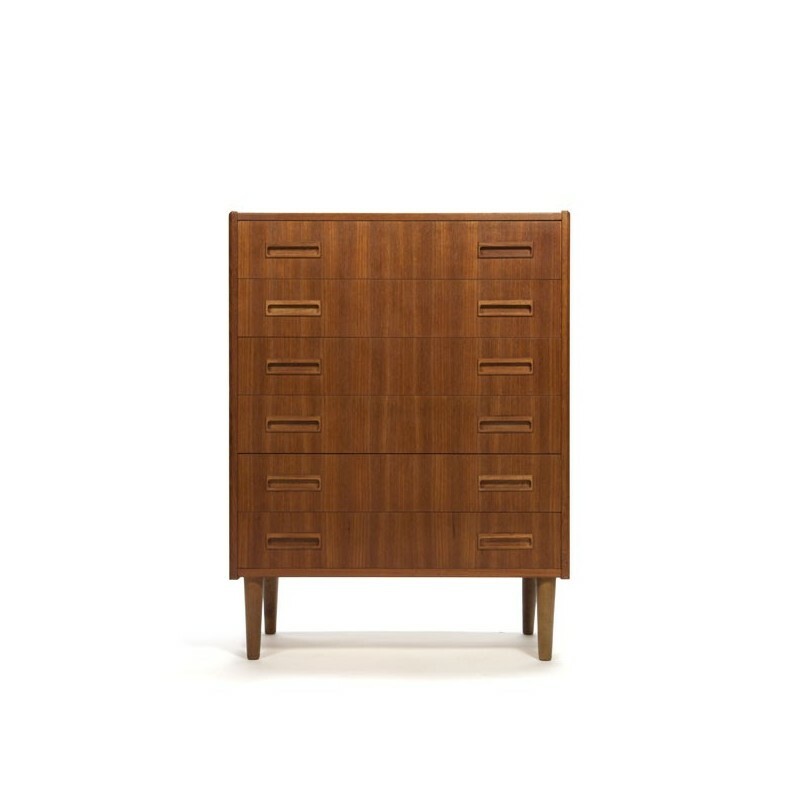 The cabinet has 6 spacious drawers and is in good condition considering its age (see the detail photos). The dimension is 76.5 cm L / 41.5 cm W/ 101.5 cm H.